I work with affluent individuals (and those with the potential to become so) who hold the qualities of success: responsibility, perseverance, and commitment to a solid plan founded on good advice. Part of that good advice is having access to alternative investments, which is key to adding balance and advanced diversity to your portfolio. Most portfolios lack diversification and contain securities found only in the public market. This is largely due to insufficient access to alternative investments. At one time, retail investors had access only to stocks, bonds, ETFs, Mutual and Segregated funds. Additionally, private deals often required large sums of money and a barrage of lawyers and analysts. As a result, it left some of the most attractive deals out of reach for the vast majority of investors. This is where I distinctly differ from other financial advisors: my ability to give you access not only to traditional investments with low fees and skilled discretionary portfolio managers, but also to alternative investments. Alternative investments are established using distinctive strategies that may not be available with traditional stocks, bonds, and mutual funds. They can be public or private, though most are categorized as private (not publicly traded), and they are focused in unique markets, asset classes, strategies or sectors. These include Real Estate, Private Equity, Hedge Funds, Venture Capital, and Real Assets. 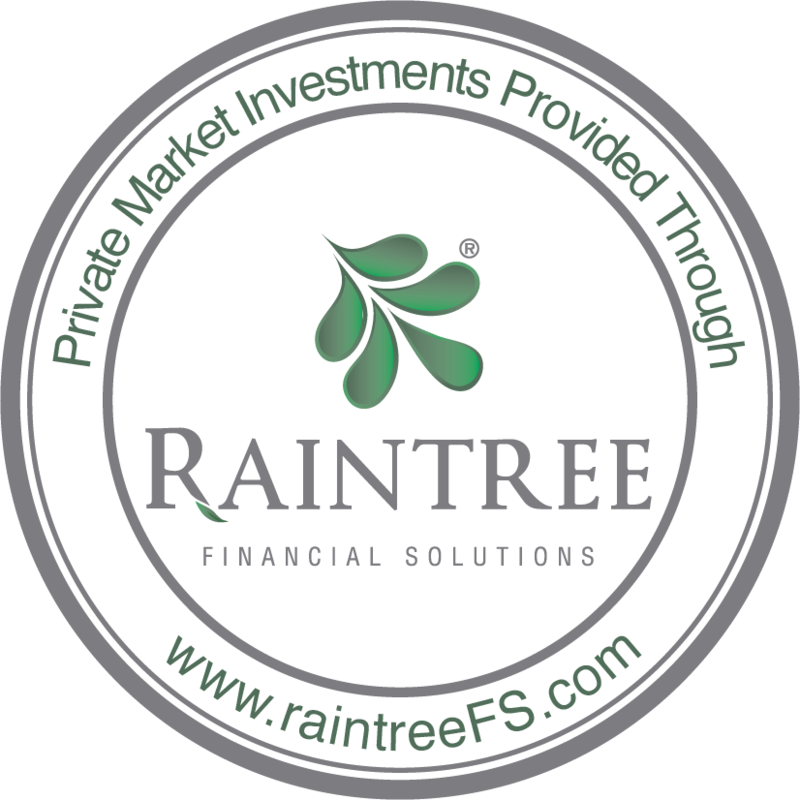 For a sample of past alternative investment opportunities, visit the website of my Exempt Market Dealer, Raintree Financial Solutions. Alternative investments may react differently to unsystematic market activity, and in a well-balanced portfolio, they have the potential to smooth overall returns. These investments are also very diverse — they can be equity or debt securities and can be complex or very simple. Alternative investment offerings may not be suitable for everyone, though they generally complement most portfolios. Selected properly, their diversifying benefits can protect downside risk and enhance returns, which is one reason why sophisticated investors have been using alternative investments for many years. As a Private Wealth Advisor with Raintree Financial Solutions, a registered Exempt Market Dealer, I provide you with access to both alternative and traditional markets in a way that is specifically suitable for you. From their philosophy to their investment selection process, Raintree provides you the opportunity to achieve financial success. There are many reasons why I wanted to work with Raintree, but here are the top five. Raintree has an internal corporate finance team that scrutinizes potential offerings and assesses key aspects of an opportunity. From reviewing audited financial statements to conducting site visits and meeting with key individuals, they insist on understanding all aspects of the business model. Alberta Securities Commission requires periodic audited reports from each individual issuer when the investment is sold by way of Offering Memorandum. Raintree reviews new reports, ensuring up-to-date information is available to understand what is happening with your investment. Raintree’s goal is to find investments where incentives are created to align management goals with investors. This ensures that decisions made by management result in benefits for both the managers as well as the investor. All fees, commissions, and profit-sharing are discussed openly prior to your investment. Returns are shown net-of-fees taking out the math or guesswork when determining exactly how much you earn from your investment. Where applicable, profit-sharing incentives give management a reason to increase efficiencies and focus on earnings. Any increase in efficiency that drops to the bottom line then translates into a split in profits between the investor and the investment management. Many of the alternative investments that are distributed through Raintree can be purchased in your registered plan. As part of Raintree’s objective to bring private capital investing to Canadian retail investors, they work with many of their issuers to create platforms that qualify for registered plans under the Income Tax Act (Canada). What does this mean? While significant confusion exists around the use of registered accounts (ie: RRSP, RIF, LIRA, LIF, RESP, RDSP, etc. ), most of it has been caused by the lack of options in which to invest. Think of your registered account as more of a container than an investment. What you put in your container will largely determine its performance. Traditionally this has been mutual funds, as they were the most accessible, and often the easiest way to get started. Registered accounts provide a tax shelter where your investments can grow while deferring the tax on any growth. This deferral lasts until you convert your registered account into an income fund (RRSP to a RIF, LIRA to a LIF, etc. ), at which time there is a prescribed rate at which you must deregister your account. The benefits and penalties of an RRSP can be quite complex. I recommend discussing your decision to utilize registered accounts with your qualified tax advisor.